In the 1940s, the Club was active in raising funds for local scholarships to Layton School of Art students as well as the Lucille Nielson Memorial Scholarship for a Visiting Nurse Association member who wished advanced training. The next decade of course was that of WWII. 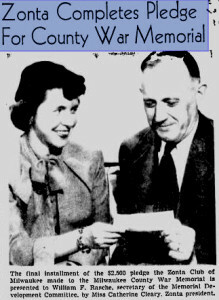 The club was involved with the YWCA Building Fund, the Community Chest, Red Cross, China Relief, War Bonds and Civil Defense. During the War, Zontians adopted four youngsters through the “Save the Children” organization and sent many CARE packages overseas. In October of 1942, Club members attended a presentation sponsored by the Business and Professional Women’s Club. The program was a true story of Nazi persecution and a family’s flight to England and then America as told by Ada Roetter of Madison, a German refugee. 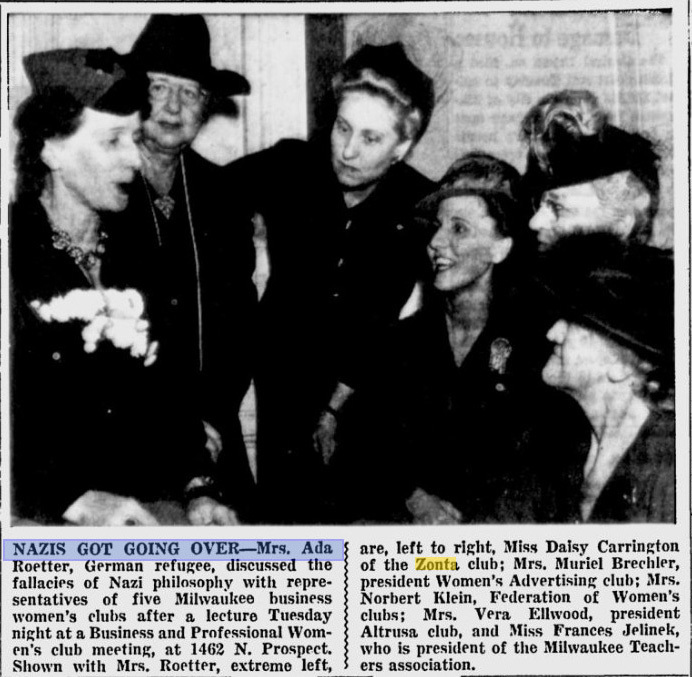 The Club was also involved with the organizing of the Inter-Group Council for Women in Public Policy in Milwaukee in 1947. The group was to find ways and means of discovering qualified women and bringing them to the attention of those making appointments to Boards and Commissions as well as public office. Its Chairman was Zontian Dr. Florence Medaris, Club President at the time. 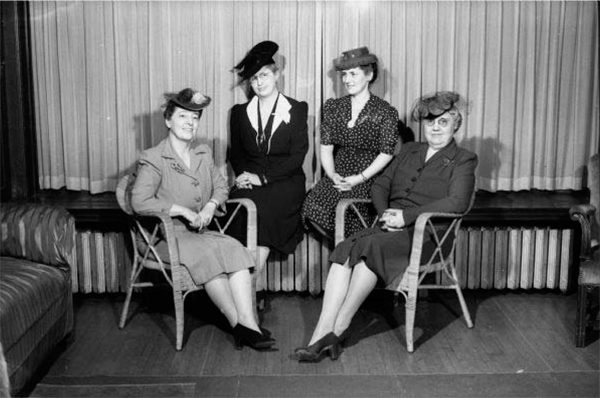 By May 1947, the Club had 95 members, ranking fifth in size among Zonta clubs in the United States. Also after the war, Zontians partnered with two other women’s organizations, Business & Professional Women and Altrusa, to spearhead the community’s creation of the War Memorial on our lakefront. Club Presidents Grace A. Kelly and Catherine Cleary were involved in the efforts. Our Zonta Club donated $2,500 toward the building, a sum equivalent to over $30,000 in 2014 dollars. In March of 1946, Zontian Annette M. Snapper, who toured Europe studying postwar conditions, addressed the Club at its luncheon meeting. She was considered an authority on living conditions and food distribution and spoke about problems facing French citizens. In October of 1948, The Milwaukee Journal reported that “Mrs. Paula Lynagh of the Zonta club submitted a proposed resolution for county board consideration” of a juvenile home on the county institutions grounds and the creation of a full-time juvenile court. The resolution was the result of a two-year study and was supported by twenty women’s clubs. 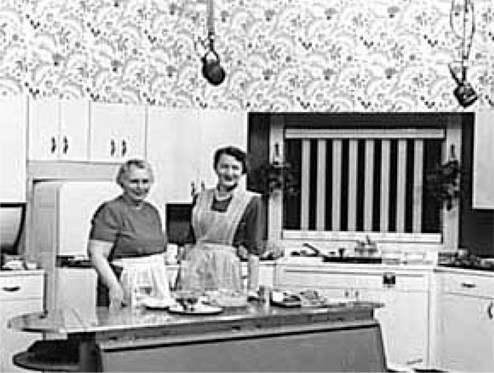 The 1940s also saw Zontian Breta Griem co-author of “The Best from Midwest Kitchens” (1946) as the host of a popular local cooking show on WTMJ from 1949 to 1962. Becoming a Zontian in 1949, Greta W. Murphy was Vice President of Public Relations and Development in the Milwaukee School of Engineering, a national director of American College Public Relations Association; past president of Wisconsin Chapter, Public Relations Society of America; and past president of Women’s Advertising Club of Milwaukee. She was also a director of Zonta Manor, Inc. and was a Club President. Recognized as a pioneer in the field of public relations in America, Greta Murphy is listed in Marquis’ Who’s Who in the Midwest, in American Women, in Women in Communications, and in 2000 Women of Achievement. Greta served as Club Secretary, Board member, Vice-President, and President (1959-60). She was appointed Regional Governor of Zonta International in 1961-62.